– I feel happy and honoured to be rewarded, Torgny Näsholm says. On Monday 24 September he will receive the 2018 Marcus Wallenberg Prize for having documented how organic nitrogen dominates the nutrition of trees in boreal forests. The findings have resulted in new types of fertilizers. Professor Torgny Näsholm, The Swedish University of Agricultural Sciences, Umeå, Sweden, has examined the role of amino acids in supplying the nitrogen required for the growth of forest trees. His work has caused a paradigm shift in explaining the nutrition of plants. For his discoveries Torgny Näsholm is awarded the 2018 Marcus Wallenberg Prize of SEK 2 million. On Monday 24 September he will receive his diploma from the hands of King Carl XVI Gustaf at a ceremony in Stockholm, Sweden. The findings have had an impact on nursery and forestry practices in coniferous forests in the Nordic countries. The first patent for this approach was issued in 2000 and a fertilizer called Argrow, based on the amino acid arginine, was introduced on the market. Arginine is a nitrogen rich amino acid that is rapidly absorbed by plants. The fertilizer is mainly used in forest nurseries in Sweden, and tests have been performed in Finland, USA, Canada, Uruguay, China, New Zealand and Australia. It is also being tested on other commercial crops and garden plants. The innovation has been further developed and a new category of patented, slow release fertilizer based on arginine is currently being tested in large scale field trials in Finland and Sweden. Seedpad is an example of another new technology for improved germination of pine and spruce seeds, that Arevo AB, Umeå, Sweden recently developed. Torgny Näsholm is the CEO for this company. 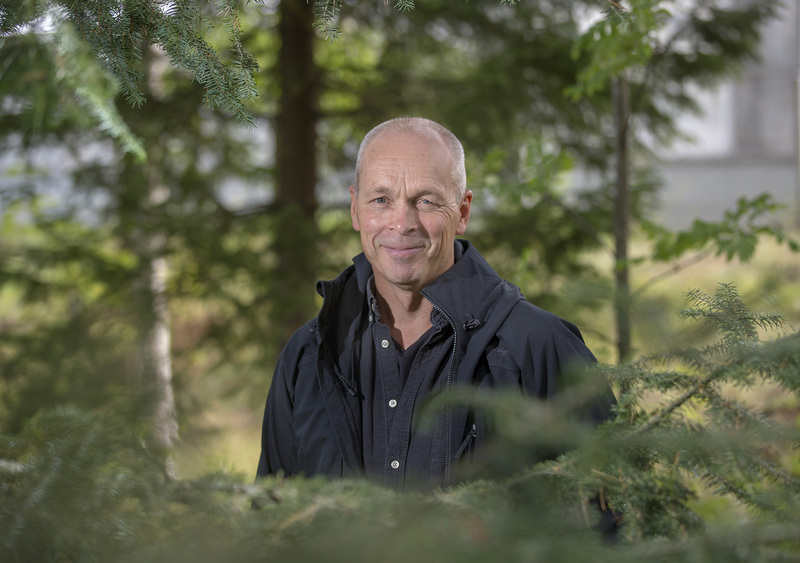 The Prize Selection Committee of the Marcus Wallenberg Foundation states in its motivation that Torgny Näsholm has made innovative discoveries with substantial practical importance to a sustainable management of forests. He has managed to translate and transfer his groundbreaking scientific discoveries into useful applications. Erik Normark, forestry specialist at the Swedish Forest Agency, is also impressed by the ability to combine research with practical problem solving. – Fertilizers based on amino acid and nitrogen has lifted Swedish forest seedling production to a higher level of quality. Early results from field studies of fertilizing after seeding indicate a progress in survival and growth of great importance to the forest production in our country, Erik Normark says. The Marcus Wallenberg Prize 2018 will be presented by King Carl XVI Gustaf to Torgny Näsholm at a ceremony in Stockholm on 24 September 2018. Torgny Näsholm was born in Nora, the municipality of Kramfors, Sweden, in 1959. He defended his PhD thesis in Plant Physiology in 1991 at the Swedish University of Agricultural Sciences in Umeå, Sweden. In 2000 he was appointed Professor in Plant Physiology at the Faculty of Forestry, and in 2007 Professor in Tree Ecophysiology at the same university. Between 2007 and 2010 Torgny Näsholm was engaged in SweTree Technologies AB, where he still holds a position as Scientific Advisor and board member. He is also the leading scientist and CEO of Arevo AB. Both companies are focused on plant and forest biotechnology and situated in Umeå. Since 2007 Torgny Näsholm has published 64 scientific articles, many of them in the highest ranked journals of his area of research. He is also the lead scientist on ten patents issued for work on applications of amino acid nutrition for plants. The purpose of the Marcus Wallenberg Prize is to recognize, encourage and stimulate path breaking scientific achievements, which contribute significantly to broadening knowledge and to technical development within the fields of importance to forestry and forest industries. The official citation and prize motivation is published here.